Has Cumberbatch’s Character Finally Named Himself? 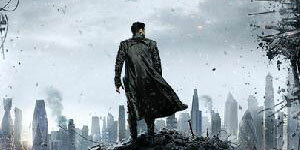 Has the villain for Star Trek Into Darkness finally been named? It looks that way, recent news from Bleeding Cool shows a character in the last panel of one of the prequel comics introducing himself. 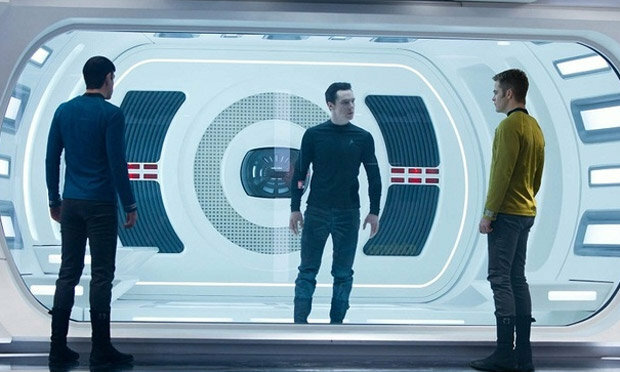 Khan, Gary Mitchell, John Harrison. To this list add the latest possibility, Robert April. It’s been pointed out by several sources that April would actually fit well with the bits we have seen from the movie. Captain April was in the animated Trek episode The Counter-Clock Incident, where everyone was aging rapidly in reverse. This will fit with the possibly aging child who Cumberbatch is seen saying he can cure. It would also fit with the apparently older character in the comic. The final answer to this question remains to be seen. 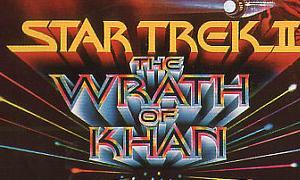 What Other Connection Did Kirk Share With Khan? Captain April, the Enterprise captain after Captain Archer & right before Captain Pike, was one of the good guys. If this report is true I wonder what it was that turned him to a baddie. Robert April was first Captain of NCC-1701, which does place him after Archer, but I personally have no idea as to who commanded the first Enterprise after Archer’s tour of duty on that ship was up. While it’s interesting that “the Batch” might be April, there is a significant age difference. By the time Kirk (in the original timeline) had become Captain of the Enterprise April was already an Admiral and pretty much retired by the time of the animated series, and unless April found some type of Fountain Of Youth (which is not impossible), I just can’t see how he might be Robert April due to the closeness of age between Harrison and Kirk. 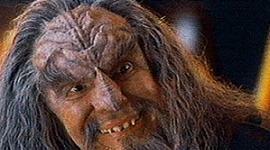 I’m still leaning on the idea that he’s playing Garth of Izar. Hmmm… that is an interesting idea. Garth is more than a bit nuts. That said there are enough points in the new timeline that diverge that April might have lost it. In the animated series ep, he and his wife being old are the only ones still mature enough to fix the age-reversal problem. Part of the theory on this is that maybe he gained a bit of control over aging as a result of a similar incident. So “the Batch” wouldn’t necessarily be to young. What’s your source on Garth, I don’t think I had heard that one? Garth had a personal connection to Kirk in the prime timeline, but the alternate timeline doesn’t fit with that story. The villain seems to have a connection to Kirk, I can’t see Garth having one this time through.